Time is flying by, and here it is almost July already. I have been a student this spring, attending several workshops and classes on various aspects of being an artist. I am in a period of evaluation, and I hope these workshops will help me make decisions on what direction to follow with my art in the near, and possibly more distant future. The topics include, Public Art, School Residencies, The “Business of art”, PR – marketing and writing/talking about your work, and having an online presence. It has been fun for me to go to the sessions, but busy too. 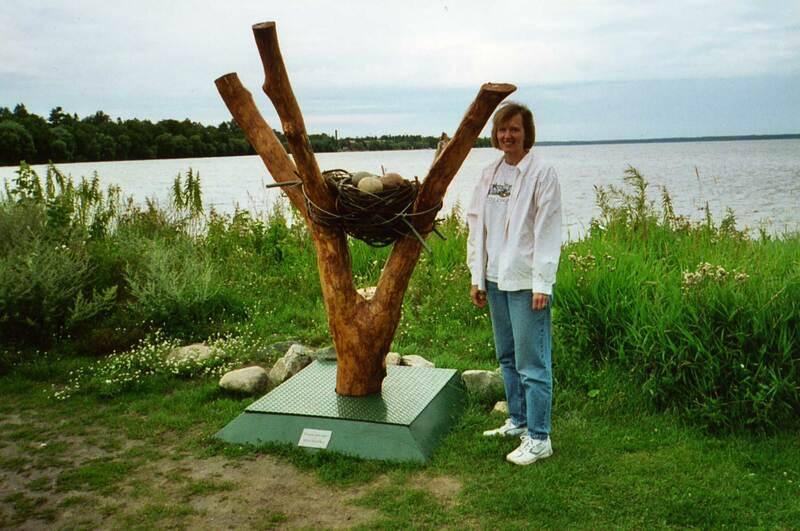 Other events have also filled my time, such as Region 2 board meetings, painters group sessions, and the annual Bemidji Pet Expo. 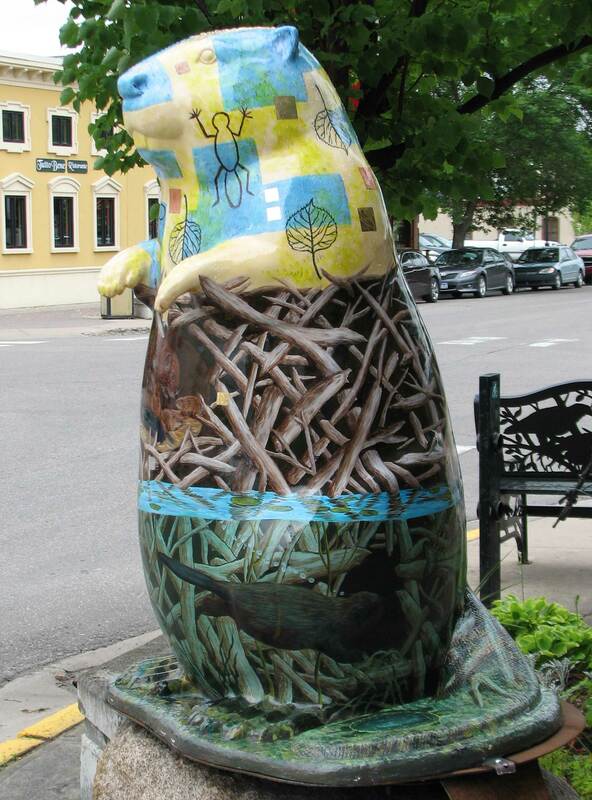 That is a fun event, and you should come to it if you happen to be in Bemidji next summer. I got lots of photo references for future paintings, as well as a fun time watching dogs and their people having fun together. 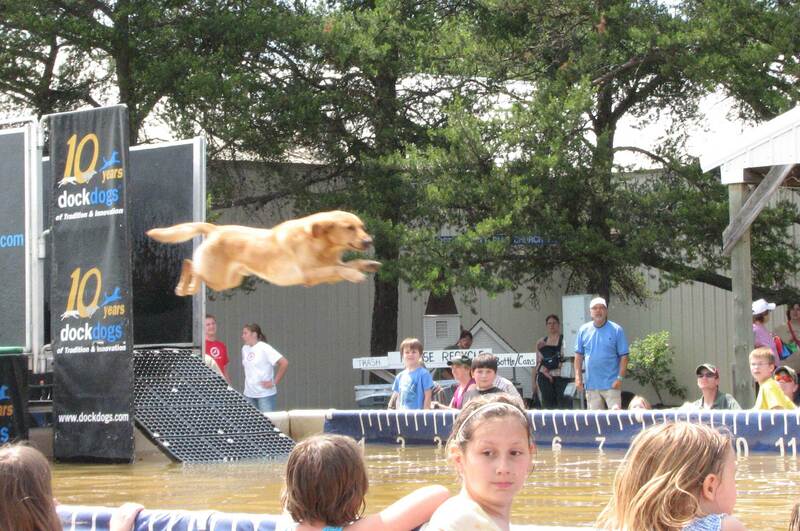 Did you know dogs could fly?! I’m working on a new acrylic/mixed media on canvas, and I’m trying something new — I started with black gessso. So far, I like it. 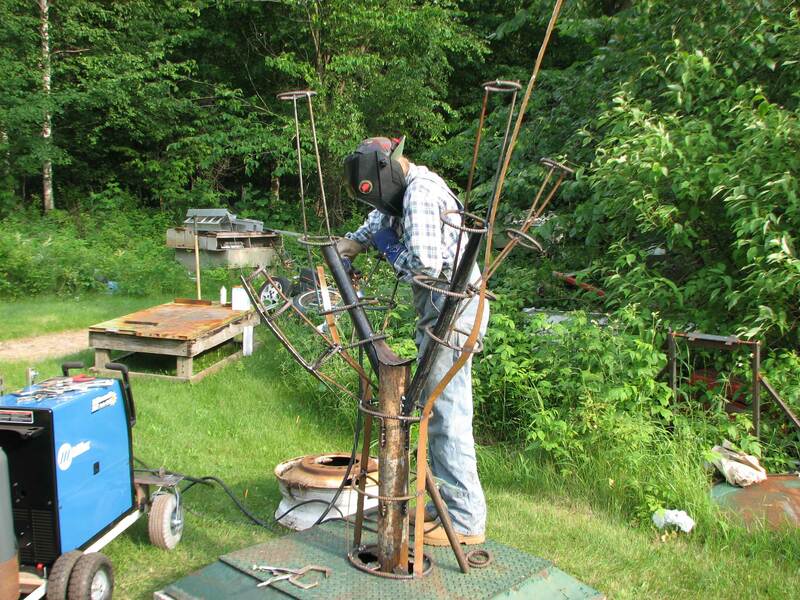 I’m also getting out to the welding shop to work on my big tree/nest sculpture for Neilson Place. It is a challenge, but I am making progress. I’ll put up a picture of working on the armature. I had a fun time this morning, doing art with one of my “occasional students”. We did some drawings of animals, some blown ink trees, and a monoprint. Hope she enjoyed it as much as I did. 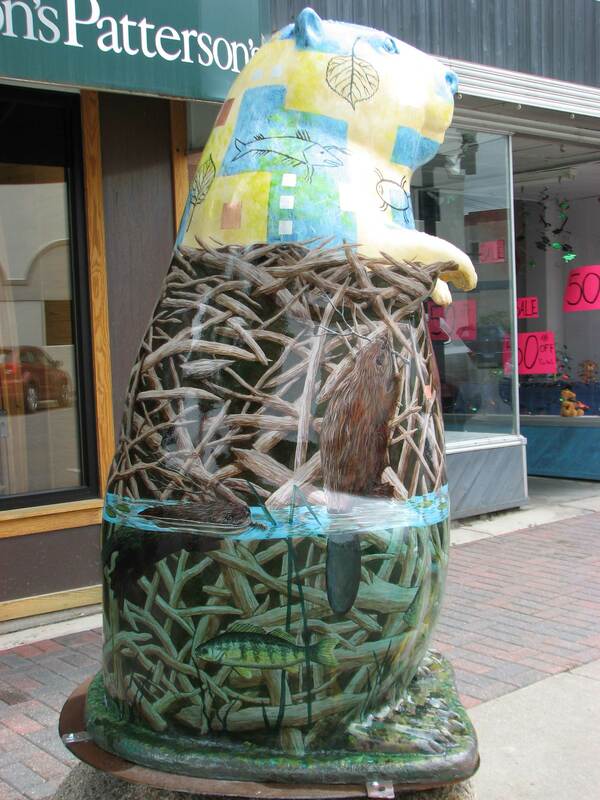 ﻿﻿﻿﻿﻿At long last I finished the beaver painting project. 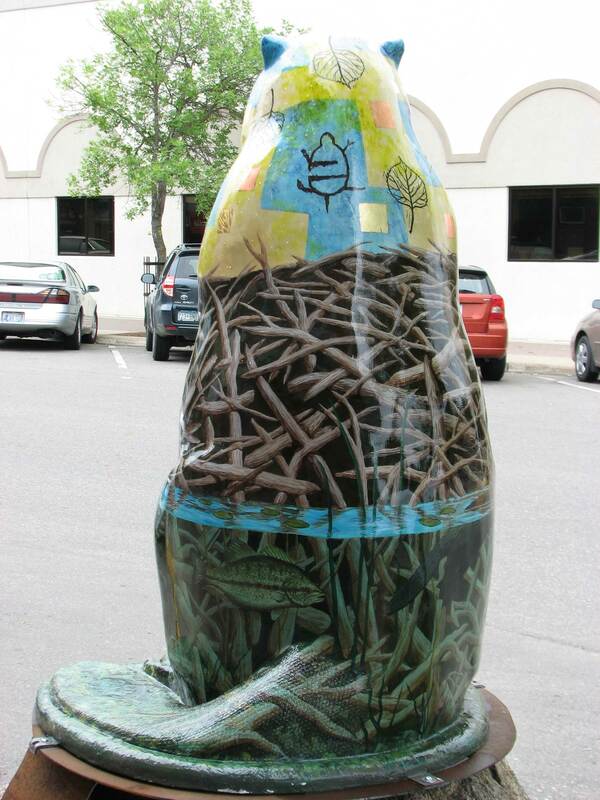 I delivered it to the appointed place last Monday, and they took it to be clear-coated and installed in downtown Bemidji. 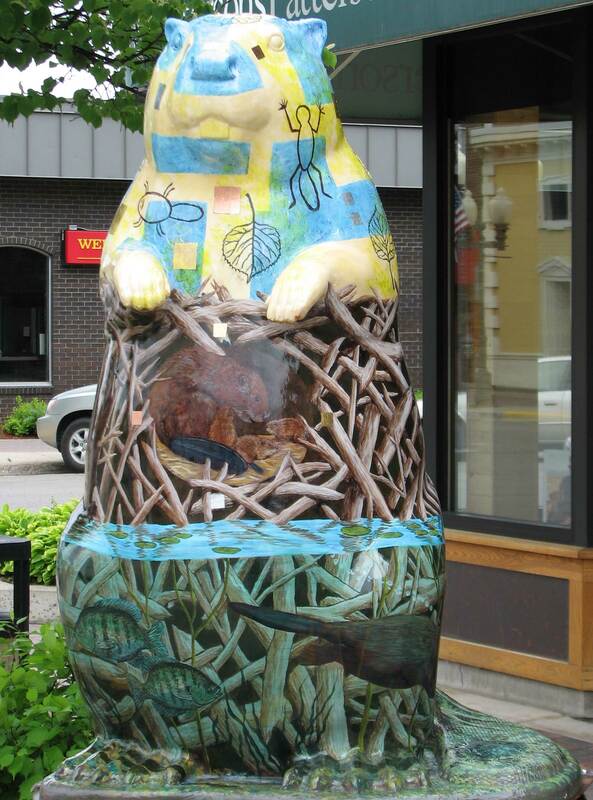 It has been fun for me to drive around and see what the other artists did on their beavers — we all worked at home, so we had no idea what the others would look like. I will let you see all four sides of it, and I have put up a slideshow on my Step-by-Step page. I will post another picture when the re-do is complete. I plan to build the new tree section out of metal, so there will be no more worry about ants!